Tron’s legacy goes on. You might not agree with the computer effects the moviemakers used to make Jeff Bridges look several decades younger, but you have to agree that the Tron cycle was truly something else. And now you can wear it–or at least, a hoodie inspired by it–and look just as awesome. 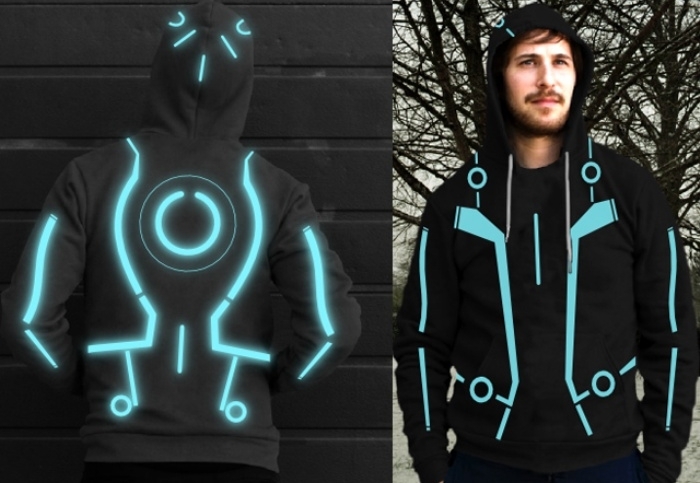 This Tron hoodie was designed by HDDoobie and it even sports neon strips that actually glow for good measure.